When four-less-than super villains - Whirlwind, 8-Ball, Humbug and Freezer Burn-skip bail and team up to rob the penthouse apartment of a wealthy publisher, they get more than they bargained for. 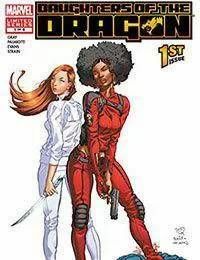 Misty Knight and Colleen Wing are on the case. Unfortunately, so are a host of villains and assassins looking to recover what was stolen.